Penukonda, also known as Penu Kinda is located in the district of Anantapur which is a small village in Andhra Pradesh, Located 145 kms from big city Bangalore. This region is very famous due to its linkage with historical events and it has been controlled at various points of time by the Vijayanagar, Chalukyas, Nawabs, Maratha chief Murari Rao , Nizam, Tipu Sultan and Hoysalas. Finally it went under the rule of the British. This is a point of several religious features. 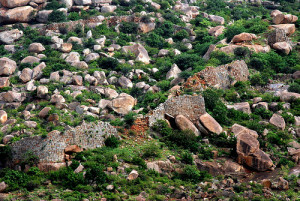 The Hoysalas played major role behind the construction of the forts and towns and they were the followers of Jainism.Due to the Jain history of the ancient times and the presence of various significant temples, it has become the most sacred place for the Jains. The Parsvanath Swamy temple is located in this place and it has the famous idol of Parsvanath made up of using a single green stone. This is also a sacred place for the Muslims because of the presence of the famous Babaiah Daragah. Venkatapathi Rayalu, the great emperor of Vijayanagar made Raya Dalavayi Koneti. After the rule of Koneti his descendants ruled this place for many years. This is a kind of historical place where people from many locations come to have a great time. 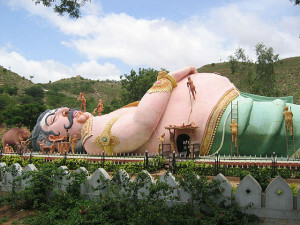 There is a picnic spot known as Kumbhakarna Gardens, hosting a huge statue of Kumbhakarna in sleeping posture.